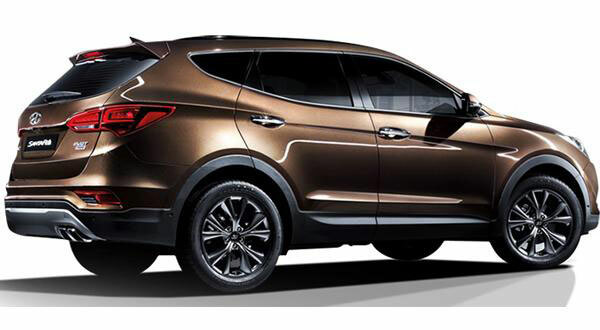 South Korean automobile giant, Hyundai has revealed the facelifted version of Santa Fe. 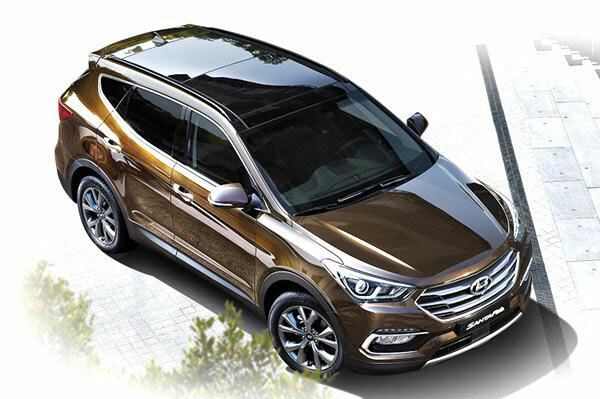 The facelifted version of Santa Fe would be called as ‘The Santa Fe Prime’ in South Korea. Essentially, the facelifted Hyundai SUV gets exterior tweaks as well as the minor mechanical changes with new features. Talking about the exteriors of the car, Hyundai Santa Fe gets refreshed front and rear bumpers with chrome detailing, LED guide lamps in the headlamps and LED daytime-running lights on the front bumper of the car, a well redesigned and restyled grille, an optional panoramic sunroof, new 18 and 19 inch alloy wheels and LED light strips in the tail lamps. When it comes to interiors, the refreshed Santa Fe Prime SUV features the same predecessors as that of its predecessor. One attention seeking change is the revised accents on the dashboard and seats and brand new fonts on the instrument cluster of the car. Talking about the features of the car, the Santa Fe gets Smart High Beam Assist, Dynamic Bending Lights, Advanced cruise control, autonomous emergency braking and a 360-degree camera and a JBL surround-sound system. Talking about the specifications of Santa Fe Prime, the SUV is powered by the engines from its old model — the 2.0 and 2.2-litre diesel engine that offers improved response and emissions as well as reduced vibrations. In India, the current-generation Santa Fe was launched last year. We do not have information if Hyundai Santa Fe Prime could make it to Indian market.